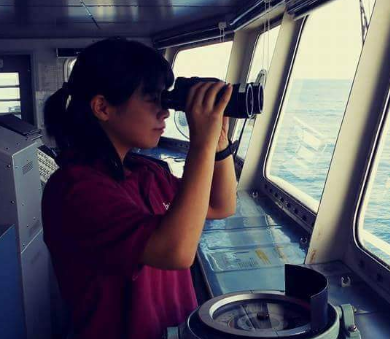 Since seafarers travel anywhere around the world, there’s a pretty good chance that you will visit European ports in your career. Europe is a dream place to travel for many people and we seafarers are actually privileged to visit there in and out either signing off or joining to our ship. Countries in Europe have also one of the most convenient ports to conduct crew change. That being said, non-European seafarers are required to apply for a Schengen Visa attached in their passport to grant multiple entry and exit. But what is it anyway? Did it bother you to ask what Schengen actually means? First, let’s take a look at some interesting trivia about Schengen Visa, Schengen Areas and the European Union as a whole. A Schengen Visa is a short stay visa allowing the bearer to travel to any “Schengen States” without any border controls between them. A person holding this visa can transit through or stay in any Schengen Area for a duration of not more than 90 days in any 180-day period. Why is it Called That Way? In June 1985, a treaty was made abolishing the need to have border checks when travelling from one European country to another. That is, EU citizens can travel freely within the EU zone without stopping for rigorous checkpoints. This agreement was signed aboard the ship Princess Marie-Astrid on the river Moselle. And guess where this river is located? In the small town of Schengen (about 400 inhabitants at that time), Luxembourg, a border between Germany and France. On that historic day, date five EU countries- Belgium, France, Germany, Luxembourg and the Netherlands, decided to abolish border controls. Their aim is to have free movement for their citizens that would eventually end decades of indifference. Thus, the Schengen Agreement was born. Since then, other EU countries joined the free movement which not only enhanced tourism but also established a harmonization of entry and the rules for short stay visas. Improved police cooperation was also observed and the establishment of the Visa Information System. This is a database where Schengen member countries use to exchange data on certain categories of people or goods. I know there are weird letters some people use in writing pronunciations for a certain word which makes it more complicated to common people like you and me. This is how they write it: (English: /ˈʃɛŋən/). But that doesn’t serve any help at all. So this is how I write (and say) it: “Shengen”. And this is how Youtube says it the right way. Which Countries Require a Schengen Visa? There are a total of 26 countries. Schengen Areas where you can use your Visa. When you conduct crew change in any of these countries, you are expected to present a valid Schengen Visa. Here’s a very nice piece of advise for my fellow seafarers when traveling to Europe. You can use My Three internet in these countries for free without any roaming charges. Shore leave is also a very nice in these countries as you can use bicycle to navigate your way around their cities. If you try to look at your Schengen Visa, you might be surprised on some of the details there that you won’t clearly understand. I’ll try to explain it here. In our passport, the visa type is always marked as “C”. It is mostly referred to as “Short Stay Visa”. This means that the bearer is allowed to visit the Schengen countries for tourism, family or business visits up to a maximum of 90 days in a given 180 day period. Vacationists, travelers and tourists usually refer to this type when talking about their visa. Another type of visa is the Circulation Visa which is also marked “C”. The difference from above is that this visa has an expiration of more than a year. It is mainly issued for business that have an invitation letter from a Schengen Country. Number of entries can be defined as “Single Entry or Multiple Entry”. Single Entry Visa is issued mostly to seafarers disembarking in any Schengen State. Validity could be less than a week as this is only used one time. Most of the time, Multiple Entry visa is issued to seafarers having formal Visa application appointment from their home country. The expiration date could be six months or more. For Multiple Entry visas, the duration of stay is 90 days in a 180 day period beginning from the date of entry. A 3-day validity period is issued for Single Entry Visas. If you overstay, you risk a two-year visa sanction for all Schengen Countries. If you try to look at your Schengen Visa, you will notice that it is sometimes issued in Kuala Lumpur, Malaysia even though you filed for it in Manila. This happens when your joining port is in the Netherlands. The head office of their Schengen Visa Application is in Malaysia so your passport is sent there and then returned back in Manila. Once you have your Schengen Visa, you can embark and sign-off in any Schengen states without any problem.